How To Obtain Credit (Loans) in Jacksonville Florida | Duane Lee Chapman Bail Bonds, Inc. Applying for credit or loans isn’t a real challenge if you meet the qualifications and abide with the requirements. There are various types of credits and loans that are offered by numerous creditors and financial institutions. In a large and thriving city like Jacksonville – a population of roughly 1 million people and a rise in business developments – it is an advantage to locate your nearest credit provider and to understand the steps for obtaining your desired plan. Auto Loans – This is a type of credit that eases the purchase of a new vehicle. It usually offers a lower rate in financing a new ride. Remember that traffic accident down the highway? With an auto loan, your wrecked car can easily be replaced within an affordable budget. Alive Credit Union offers auto loans which enables people as young as eighteen years old to purchase their first set of wheels. Its First Time Auto Buyer Program provides a loan of up to $20,000. Medical Loans – A medical loan covers many medical costs such as medical products and services. You, as a patient, may need some immediate funds to pay for a surgery. No work means no pay, and sometimes your salary may not be enough for post-medication services such as physical therapy. No one should end up being broke because of one life-threatening incident. Also, the terms revolving a medical loan is understandably flexible. Alive Credit Union is a creditor that also offer its members loans of up to $25,000 with maximum terms of 60 months. Mortgage Loans – This type of loan enables you to buy a house without spending your savings. According to statistics, 14 percent of the population in Jacksonville are senior citizens, while most of the residents are families and adolescence. One variety of mortgage loan that is offered by Jax Federal Credit Union, or the Home Improvement Loan, covers certain expenses for house services such as room remodeling, installation, and replacement. This creditor can loan a member of up to $35,000 with a maximum term of 84 months. Bail Bonds – Bail is defined by the release of a defendant after an arrest prior to the closing of the defendant’s case. A defendant may post bail with his or her assets, but that also depends on the amount of money the defendant can pay to the court. Considering a young adult who was arrested for his involvement as an accomplice, or the getaway driver, he may strongly feel not guilty due to certain circumstances. Would he be able to afford to pay for the bail amount as per court? Bail bonds are options in times of need. He can request for the services of a bail bondsman or agent to assist him in posting bail. Bail bonds are responsible for paying your bail on your behalf, thus functioning as your surety as well. Business Loans – Jacksonville, with regards to the economy, is booming because of the growing businesses all over the city. From retail stores to restaurants, the city is a canvass with empty spaces for entrepreneurs to fill in it. 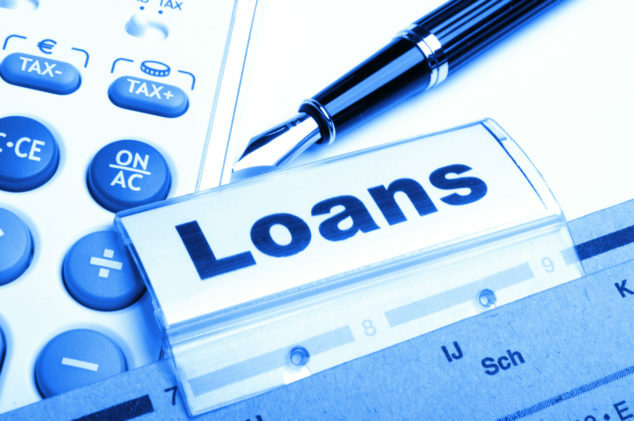 Acquiring a business loan is also an opportunity to save on capital expenses. Statistics also show that the median monthly rent cost about $984 in Jacksonville. Other credit unions offer business loans that cover financing and lines of credit. All the credit loans that were briefly discussed earlier can easily be obtained. Some of the creditors such as Alive Credit Union and Jax Federal Credit Union require membership upon applying for their offers and accessing their services. Other credit providers such as ourselves here at Duane Lee Chapman Bail Bonds Inc. only cater specific clients for a specialized purpose or function. Most of these creditors, especially those that require membership, encourages future clients to accomplish their online application forms for faster processing. You may also reach them through their telephone numbers for more inquiries. Do not let your budget suffocate your future. There are more credit loans that you can take advantage of such as student loans and personal loans. Besides, saving your budget for the beautiful sights and sounds of the city, and the beaches, is money well invested.